SOUNDS, SIGNS OF THE TIMES. "Ma-aan nga pokpok" (Mabolo Barangay Captain Nina Mabatid): The hotel guard disrespected her, she said. She was being mistaken for a prostitute, she complained. Cebu City Mayor Tomas Osmeña said he expects Mabatid to align with Barug-PDP Laban "now that she is kicked out of BOPK." But, wait for his punch line, here it is: "So maybe we're talking about another type of prostitution, yes?" The hotel guard, in the confines of the hotel lobby, never called her a whore. Neither did the mayor categorically say she's one. Mayor Tomas, in the wide world of Facebook, merely implied that Mabatid could be engaged into another kind of whoring. Which is worse? "It's not written in stone" (Senate President Tito Sotto): Was he referring to the Constitution? It's not inscribed in stone but it requires an amendment of the Constitution to change its provisions. Amending the charter could be harder than chipping at a rock with a chisel. "PH a province of China" (on tarp streamers in Makati and Quezon City): Supreme Court Acting Chief Justice Antonio Carpio sees it as protest against Malacañang policy of virtually abandoning the country's territorial rights. Others think we're an undeclared province already. YIPPEE! Msgr. 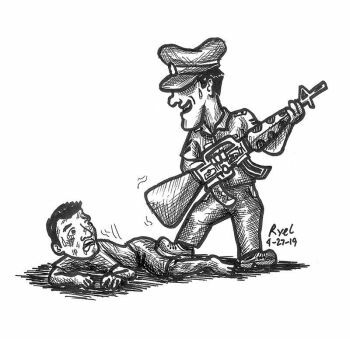 Esteban S. Binghay, asked by Ike Durano, guest-hosting on dyCM radio, about the killings in Cebu and other parts of the country, quipped: "Sapi sa mga pari. Daghang patay, daghang bendisyonan." And listeners must have laughed, just as President Duterte's audience would laugh out loud as the chief executive would poke fun at women, priests and the "Catholics' God." Binghay shows that church leaders can still crack a joke in the face of a blistering assault by a sitting president on the church, the clergy and God -- amid the violence that did not spare priests and the hitherto-peaceful grounds of the archbishop's residence. INVESTIGATOR. Mons Binghay is episcopal vicar for Metro Cebu south, one of nine senior leaders who assist the archbishops in the "pastoral supervision" of the archdiocese led by Archbishop Jose Palma. 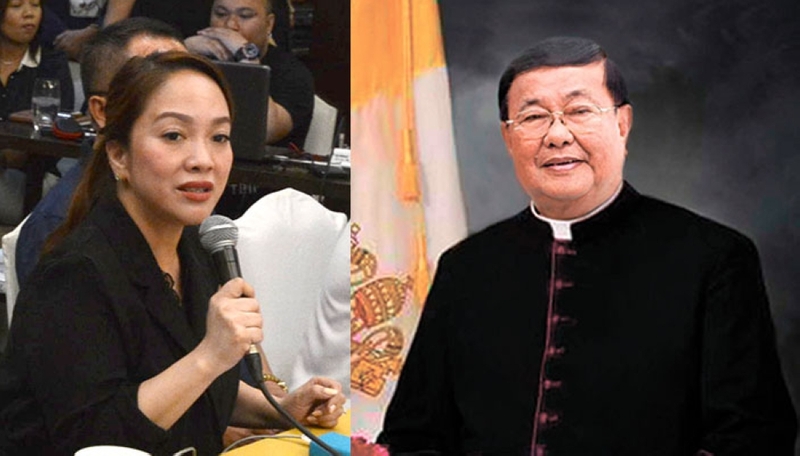 It's not known if Binghay's job includes investigating violent incidents on the ground of the archbishop's residence, which happened last Tuesday (July 10) when police gunned down a man who reportedly wanted spiritual advice from the archbishop. Maybe it's not part of a vicar's work. In April 2012, Mons Binghay said he would investigate the reported miracle in Simala, Sibonga, Cebu, in which the icon supposedly excreted oil like moisture and turned from pink to blue. Nothing has been heard of since then; parishioners must suppose it was not a miracle. AND DIGONG TOO? Mons Binghay's advice to Manny Pacquiao after the Filipino boxing champion lost to Juan Manuel Marquez on December 8, 2012, in a knockout in the dying seconds of the sixth round at MGM Grand Garden in Las Vegas, may as well be given to the president who called the "Catholics' God" "stupid." Binghay said on Pacquiao's crushing defeat: "Nothing is eternal. No one is supreme except God." Did Pacquiao's leaving the Catholic Church cause his defeat? No, Mons Binghay said. Leave the Lord out of it.